In honor of St. Patrick's Day, I'm having my tea in this Royal Tara cup, made in Ireland. I found this Irish Breakfast tea at Trader Joe's. I added a little stevia. It's delicious. And for a little treat, although from Belgium and not Ireland, a square of dark chocolate. (For the antioxidants, you know.) One square has a little over 3 grams of sugar. A nice little treat. I would normally have made some scones or Irish soda bread, but as you know I'm trying to change my carb- and sugar-loving ways. I hope you're not too tired of listening to me go on about my attempts at healthier eating, because I've got some more interesting info to share. We are eating more than 500 more calories a day than we did in the 1970s. We can blame the obesity epidemic (did you know that one-quarter of all Americans are considered obese?) on too much sugar or not the right kinds of fats, or too many grains, or not enough of the right grains, etc., etc., but the bottom line is we just eat too much! According to abcnews.com (June 2011), we eat 570 calories more a day than in the 70s. The Cleveland Plain Dealer (April 2010) reported that in 1970, we ate 2169 calories a day versus 2674 in 2008 (a 23% increase). Our meals are super-sized. The average dinner plate from the 40s, 50s, and 60s was 10 to 10-1/2 inches in diameter. Dinner plates are now 12 to 13 inches in diameter (a 20% increase). But experts say the real culprit is our constant snacking. Food is everywhere. Even in the office supply store, I've seen snacks and candy and sodas lined up next to the checkout lanes. We can get high-fat and -sugar treats whenever and wherever we want. The sit-down meal, so essential to all kinds of good things, like conversation and relationships, has been replaced by snacking on the run. I've been trying to remember how I ate in the 1970s. I'm sure I ate less back then. My mother cooked from scratch, and didn't succumb to all the emerging processed and pre-packaged foods starting to proliferate on the grocery shelves. I never had snacks in my dorm room, either, now that I think about it. For one thing, I couldn't afford to buy extra treats. And, for another, it wasn't a habit. How did you eat in the 70s (assuming you are of a certain age)? Do you think you eat more now than you did back then? I will be joining Tea Time Tuesday this week. The wonderful parents at my school are always sending in homemade treats as a thank you, and it it would be rude if I didn't eat them, right?!! No. I definitely was able to eat more then...I think my metabolism was much better. Now I have an extremely efficient "furnace." I need to move and soon, if the snow goes, I'll be able to go walking. I agree that something happened to the size of a dinner plate! Keep up the good work! You sure choose a beautiful cup and saucer to use. Hope your St. Patrick's Day is wonderful. We have a Trader Joe's but I haven't gotten there yet. Have a lovely week! MY two main culprits for being overweight: lack of sleep has messed up my metabolism big time (and it puts weight on) and LACK of excercise......which I don't want to do because I don't sleep and I am so tired. Once I get my insomnia fixed (ok it is 1:30am so it isn't fixed quite yet, haha) and I feel like moving about more. well, hopefully I will get back down to a good weight. Now, back to your beautiful teacup. WOW it is awesome. I have only a few shamrock teacups left, I have been selling them for a while now, as I just don't need so many. I am slimming down my excess "stuff" a lot lately and it feels good. But like my weight, I still have a long way to go with that too. 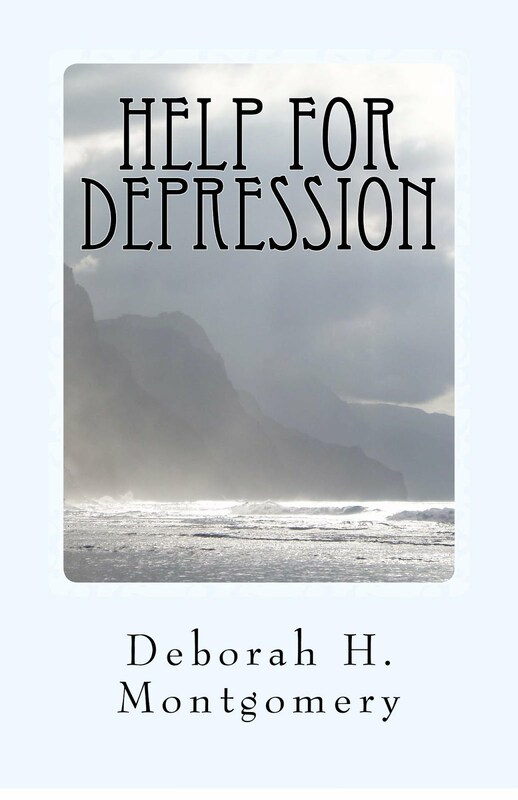 You are an inspiration, Deb! Hugs! I think it is an epidemic hitting the UK too, eating too much. I think we eat a lot more convenience food these days, back in the 70s we had food made from scratch and rarely ate between meals. Well done you for trying to have a healthier diet. Ooh...what a pretty cup! As far as eating goes, I think I eat way healthier now than when I was younger. I was a late bloomer when it comes to eating my veggies...wish I would have tried some things earlier in my life. I do know that with age come a slower metabolism which makes it harder to loose, which I struggle with daily. Hi Deborah, the Irish Teacup is so pretty. Hope you have a Happy St. Patricks Day! I knew that history of plate sizes, mainly from collecting. It's no wonder those stats are true - food is everywhere, and it's too convenient. I remember in the 70s eating what was cooked for dinner (and bagged lunches), with each of my siblings taking turns cooking once mom went back to work. Nowadays, parents seem to let kids be into every activity without limitations, and drive through eating has become the norm to getting there on time. I actually packed lunches and cooked for my kids, even when I was a single parent (90s), with only an occasional drive through, and I worked full-time. It's sad. I don't get tired of your talking about it, and I encourage you to keep preaching! Your tea and chocolate look totally delish in a beautiful cup. Happy St. Patrick's Day, Deborah. In the 70's, my mother bought the food, prepared it and served it. We did not help ourselves to food and there were no snacks except on our yearly family vacation. In the 90's, my daughter baby-sat and snack foods were offered for sale at school. Once people get "the snack habit" it's hard to give it up. Lovely teacup. I have a similar one at home. Happy Saint Patrick's Day. This is so true and I enjoyed reading the stats from the 70's. I know for sure we probably ate less in the 70's and more meals from scratch. In today's world we are programmed for fast and easy which means processed foods. I try and keep away from all that and eat fresh nearly 80 percent of the time.However it is an on going challenge. Love your gorgeous teacup. Happy St. Patrick's Day! Yes, we eat way too much on any holiday. I'm feeling guilty lately as I had a dinner party for 16 family members to celeb our 40th anniversary. Sat. night we also had a great wedding to assist so again a little bit more than usual. Your Irish teacup is gorgeous and of course, perfect for St. Pat's day. Enjoit the Irish St's Day. Have a happy week my friend. I can't get Trader Joe's here and I wish I could because I have had teas sent to me by blogger friends and they are marvelous! Your shamrock teacup is so very pretty, Deborah. I don't own anything with a shamrock on it unfortunately. I eat about the same now as I did back in the seventies. The only difference would be that I have cut back on my breads. When you get to a certain vintage, a-hem, one tries a little harder to cut down on certain foods. It has worked for me so far although Hubby and I have been indulging in my dessert the last couple of days because of the blizzard we had. Haven't been able to get out, you see. Tomorrow will be different. Happy St Patricks Day! I ate much more in the 70s than I do now, but I think generally people eat more because, as you've said, we are always snacking. What happened to three meals and an after school treat? I drink tea or water between meals and find that usually satisfies me, although I would never turn down a square of dark chocolate! 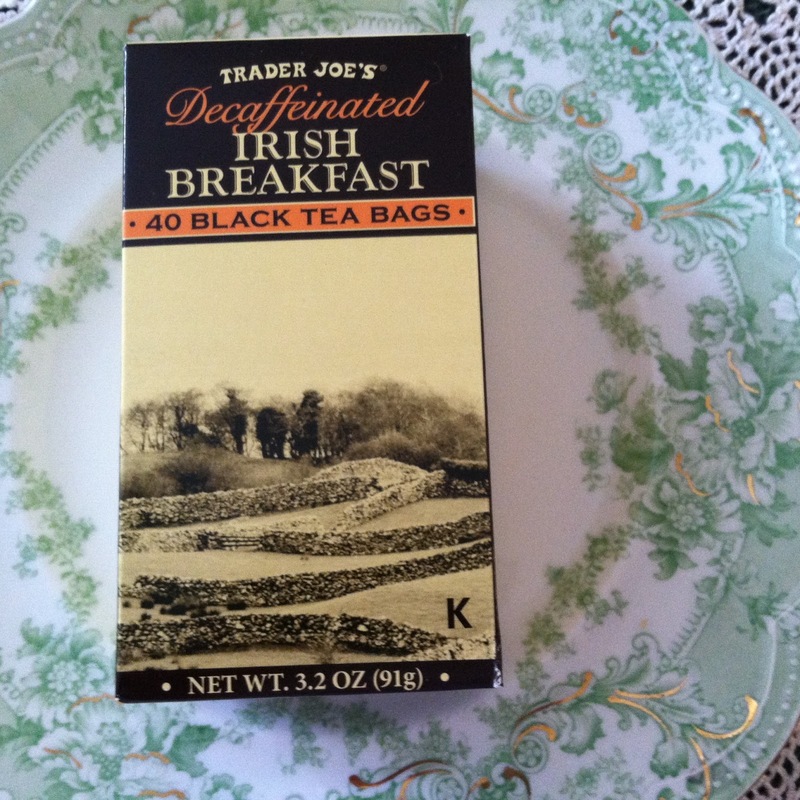 I love Trader Joe's Irish Breakfast tea! I agree with you about sugar! Your teacup is a beauty, Deborah, and I wish I could share a cup of Irish tea with you. Hmmm, I wondering about what I ate in the 70's? I might've eaten more back then and I certainly didn't watch my carbs and protein like I do now. Happy St. Patrick's Day, Deborah! Your Royal Tara shamrock teacup is a beauty. I've been guilty of constantly snacking on whatever food is around. Your healthy lifestyle posts have been motivating me to improve my eating habits! I didn't need to worry about calories or how much I ate back in the 70s but now I really need to be careful. 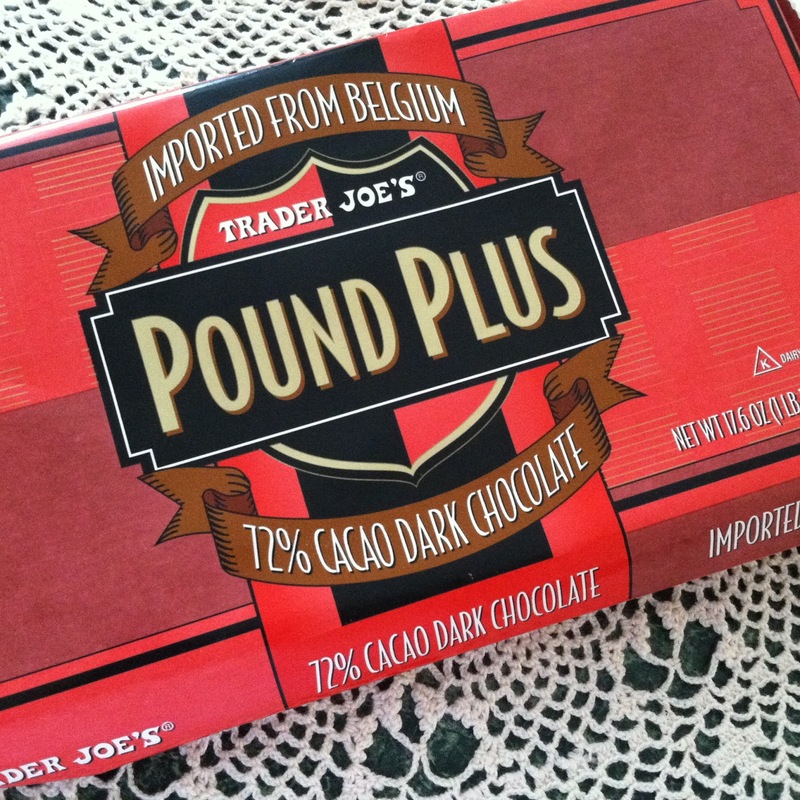 Like you, a piece or two of dark chocolate takes care of sweets but I do like my carbs in moderation. Once I can get more active, my diet should become more effective. That's exactly the chocolate I buy as well and I use it to for different, healthy recipes! It is so true that plate sizes have changed and in general less 'hard physical labor!' and a LOT more snacks. When I went to Highschool in the 60s, I used to buy at the weekly market stands when they were gathering up, for 10 c a whole bag of 'break'. That were big crumbs of peanut cookies, macaroons etc. To my friend and I it was heaven and that was the only snack we feasted on! Also I've been a vanilla ice cream lover and adding chocolate and whipped cream to that cone... yummy! Guess I don't really eat more than back than and I've always selected healthy food except that I cut the sugar out since 2007. Wonderful way to celebrate St. Patrick's Day with your lovely Royal Tara cup and saucer! Your decaffinated tea is one I will find at our new Trader Joe's. I have changed my died because of pancreatis attack a year ago. Now I drink decaffinated green tea, water, no sugar, very low fat chicken, turkey, and fruit and vegetables! Have a great week! I have a hard time remembering how we ate, but I seem to remember it being real food... meat, potatoes, a vegetable... once in awhile dessert. Candy was bought with my 25 cent allowance. 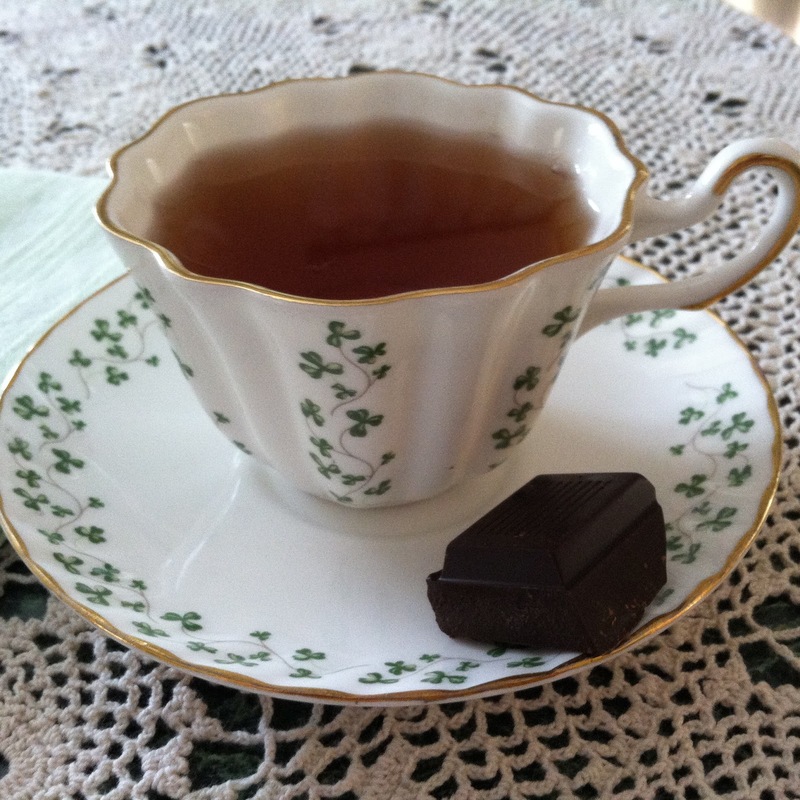 Beautiful Tea Cup and Dark Chocolate is the best. 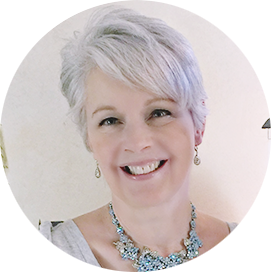 You are doing so great on your lifestyle change.